Pray to god through your favorite Devotional Song. For good luck, stress free life and to persevere faiths in god listen to Christian Devotional Songs on Zion Classic- The dwelling place of God. Zion Classics started in 2000 by Mr. Jino Kunnimpurath., is Home of some of the Best mp3 music. With registered office Thodupuzha, Zion Classics has its reach to all over the world with dealers based in USA, Canada & Europe. Talented singers from across the country and specifically from Kerala are welcome to work with Zion classics and show case their singing talent with the help of Mr. Jino. He is also interested in engaging & promoting enthusiastic, young & talented script writers, musicians & singers by giving them an opportunity with Zion Classics. This makes Zion Classics to provide you with many Superhit melodious Christian Devotional songs, both old & new Malayalam Christian Devotional mp3 songs and much more. 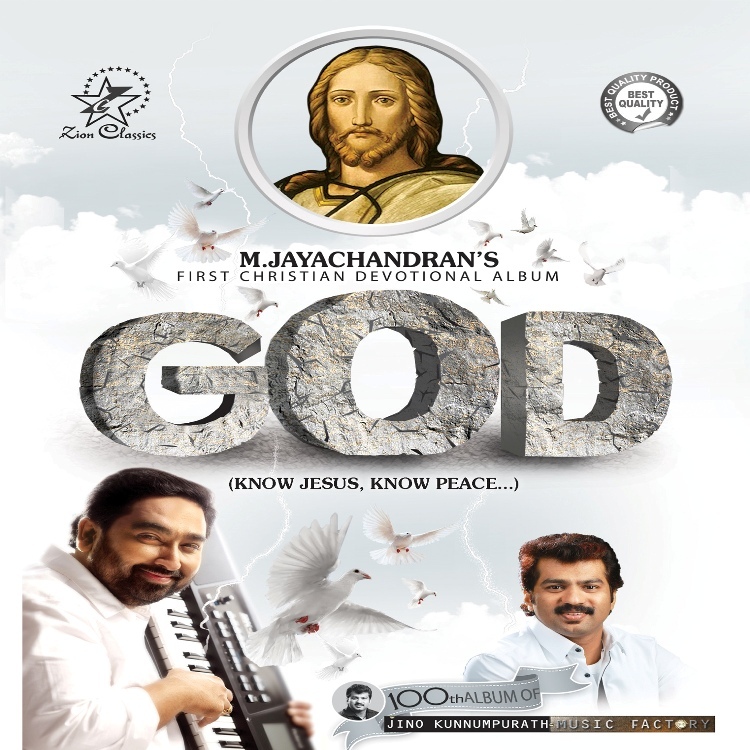 Browse the list of Super hit Christian Devotional songs from various artists. Listen to your favorite Devotional music and purchase it online. "Zion Classics" (The dwelling place of God) was started in the year 2000 by a promising and talented young man named Mr. Jino Kunnumpurath. The registered office of this company is at Thodupuzha (pulimoottil plaza,Pala Road). It releases at least 7 albums in a year. 'Zion Classics' has its dealers all over the world. In U.S.A., Canada, and all over Europe. Mr . Jino engages most of the famous playback singers from all over India and mainly from the state of Kerala. Moreover he is also interested in engaging and promoting young and talented script writers, musicians and singers by giving them chances whenever possible. It is a great pleasure to state many are thankful to him as they have developed their ability through him. He is also happy to cooperate with those who are working in this field and may contact him if they are interested.